Six years ago, the California Golden Bears Hockey Club was struggling, both on and off the ice. The Bears, one of the oldest clubs in California, was teetering on the brink of financial ruin when Todd Thomasy and Paul Kaplan took the reins. Thomasy and Kaplan were hockey dads whose initial goal was to ensure their young sons could finish out the season. 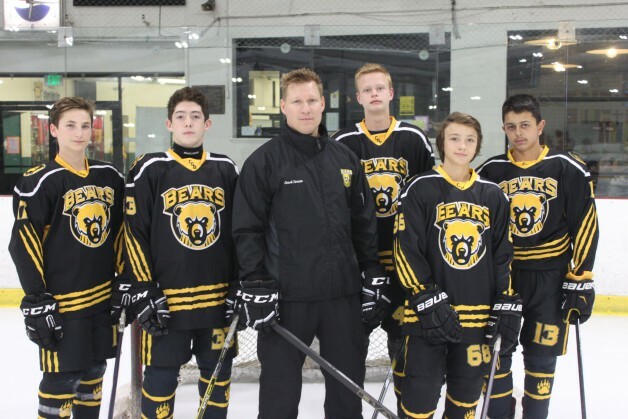 They rallied the Bears community and with the support of fellow parents and their home rink, Pickwick Ice in Burbank, funds were quickly raised to keep the club afloat. With financial disaster temporarily averted, Thomasy and Kaplan shifted their focus to the future. They drew upon their respective backgrounds in finance and marketing to create a new business model for the Bears organization going forward. Rebuilding from the ground up, the club would focus on intensive player development over a win-at-all-costs attitude while fostering a family atmosphere. The first step, however, was to find a director of hockey who not only shared their vision, but could build upon it and, more importantly, execute it successfully. In Peter Torsson, the Bears found their man. Torsson was a native of Sweden where he played on the Junior National Team before signing a pro contract with Vasteras IK – home of Niklas Lidstrom, Patrick Berglund, Tommy Salo and Mikael Backlund, to name a few. He was later one of the first Swedes to leave the SHL for an NCAA Division I scholarship when he committed to play for St. Cloud State University in Minnesota. At St. Cloud, Torsson excelled in the classroom and was named an Academic All-American. On the ice, however, his collegiate career was plagued by injury and after a fifth knee surgery, Torsson hung up the skates and redirected his passion for hockey by embarking on a career in coaching. Over the next decade, Torsson developed a reputation as one of the most dedicated and innovative youth hockey coaches on the West Coast. His intelligence, knowledge of the game and natural leadership ability gave him all the attributes the Bears were looking for in a director of hockey. Torsson recalled: “At the time, I was in conversations with a few programs and did not think the Bears were going to survive. Paul Kaplan called me and he came off as such a nice guy that I got an immediate feeling I wanted to help him save the program. It became clear to me they had the finances stabilized, but what they lacked was the ability to implement a hockey program, so they gave me a blank slate to proceed however I wanted. With a new Board of Directors in place, the club finances firmly in the black and Torsson on the job, the transformation of the Bears program had begun. Torsson immediately implemented on and off ice testing for players – with categories such as skating speed, endurance, shot velocity, push-ups, pull-ups and vertical jump. The idea was to develop a metric to track individual player development and create healthy competition. The next step was to find the right coaches to propel the program forward. With enthusiastic new coaches and a determined leader, success came to the Bears quicker than anticipated. One year to the day after Torsson was hired, his Squirt A team won the CAHA state championship. It was the first state title for a Bears squad in over 15 years. In subsequent seasons, Bears teams have experienced big wins on the ice, but that hasn’t been the most important measuring stick for success. “We have had great success over the years, but I must differentiate winning from success,” Torsson said. “They don’t always go hand-in-hand and they certainly don’t mean the same thing. We have been fortunate enough to win CAHA, SCAHA and represent California at the USA Hockey Youth Nationals for the first time in club history, but we have been vastly more successful in other areas. “Last year, the amount of scholarship money we generated for our graduating players surpassed our entire annual budget for the club. Our ‘02s are now playing at prestigious prep schools and AAA programs on the East Coast and here locally. We sent five Bears kids to the United States Hockey League Combine and two of them were ranked No. 6 and No. 12 athletically out of 220 of the best players in the country. We had prepared them for that moment for a long time with our testing and training program. When Torsson, Thomasy and Kaplan took over the Bears there were six travel teams and 72 players at the club, including in-house. As the Bears embark on the 2017-2018 season, the club will field 11 teams with a total of 190 registered players.